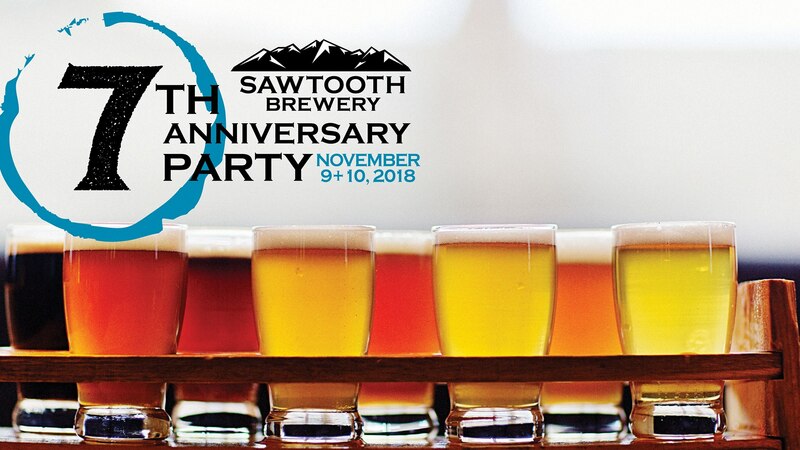 Join us as we celebrate our 7th Anniversary Party in Hailey! Enjoy $4 Beers all night or a 4-Course Beer Dinner! Come for the Beer Dinner anytime after 6pm, enjoy 4 courses with 4 pints. $35/person or $30 for Mug Club Members. Includes food, beer, and tax! Only 40 Dinners available. Get your tickets at the tap room. We'll have beer Garden Games, tours, and get 20% off Mug Clubs, Merch, and Beer to go! We'll update the food pairings from our Executive Chef Doug Jensen soon, and we'll release our SAWBREW 7 Hazy DIPA 7th Anniversary Ale.